Maple Syrup - Hilltop Acres Poultry Products Inc. 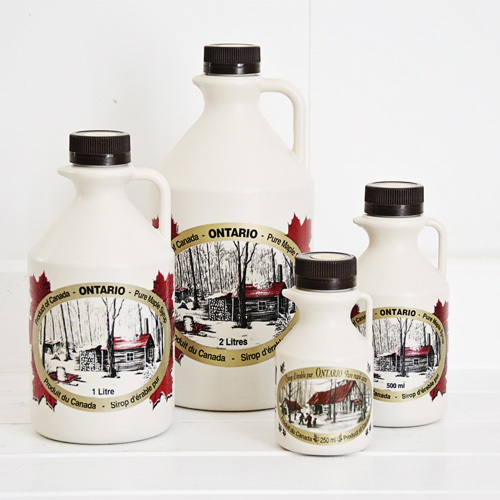 Maple syrup by Hilltop Acres Poultry Products Inc. are from local farmers to provide delicious, all-natural products. 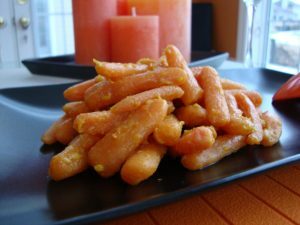 Want to try different way of cooking carrots? Try this easy to glaze in Maple Syrup and Orange and will be ready in no time at all. The sweetness of maple syrup brings more the orange flavor and glazed the carrots beautifully. You will need: 3 cups (750 ml) baby carrots, 1 ½ cups (375 ml.) orange juice, 1 tsp. (10 ml.) grated orange rind, 2 tsp. (20 ml) Maple syrup , 2 tsp. (20 ml) butter , Pinch of salt and pepper. Directions: 1. Mixed all the ingredients in a medium saucepan over medium heat. 2. Bring to a boil. Reduce heat and simmer, stirring occasionally for about 30 to 35 minutes or until liquid evaporates and carrots are glazed. 3. Drizzle with maple syrup on top before serving.